A carer in East Kilbride has turned pioneer by introducing disadvantage kids in South Lanarkshire to the wonders of the wild deer that find a home on the city fringes. David Quarrell wanted to combine his skills as carer and as an authority on urban deer to help connect local kids in the care system to nature and their environment. Now, after successfully hosting the first organised trip of its kind for children in care, he hopes to roll out the education programme further. 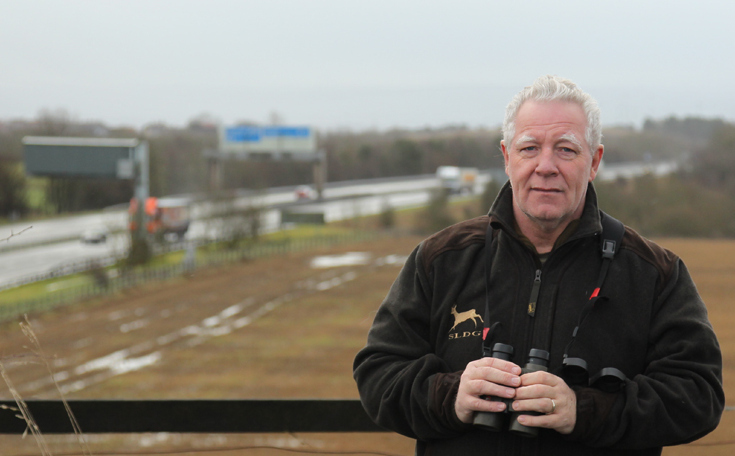 Passionate about the roe deer that share green spaces on the outskirts of Glasgow, the experienced deer manager showed youngsters deer, explained about their lives, how to identify them and where they prefer to live and find food. He also explained why populations sometimes required management to minimise damage to nature reserves and gardens, to keep populations healthy and to prevent road traffic accidents. South Lanarkshire Council helped facilitate the trip and kids were given special learning packs and identification sheets from The Scottish Gamekeepers Association (SGA) and British Deer Society. Lowland Deer Network also provided funding for costs and a breakfast for the kids and carers, who were out spying the deer at 6.30am before most people were awake. “It was very worthwhile,” said David, who is a member of the SGA Deer Group and Chairs the South Lanarkshire Deer Group. “None of the children had ever seen a wild deer before. They have coped with a lot of negative challenges in their lives to date and some of them have not had the chance to experience the positives of the wildlife around them. We saw about 14 deer over the morning and the kids were passing the binoculars between them, very excited. “We talked about numbers of deer and whether they would expect the numbers to be higher or lower the following year. They also saw Herons at a protected SSSI site as well as pink footed and graylag geese, and enjoyed the whole experience. At the end of the visit, carers were given packs of venison sausages, burgers and steaks to cook; prepared by Tweed Valley Venison. The initiative, taking place in the Year of Young People 2018, was supported by the Social Work Department of South Lanarkshire Council. Foster carers have since given positive feedback on both the visit and the venison, saying the kids were engaged and enjoyed the experience and getting out into the outdoors.